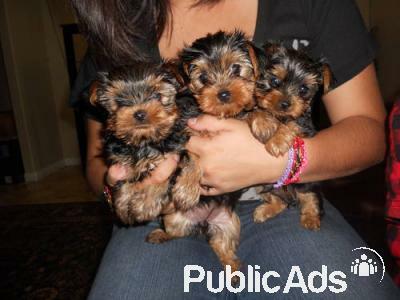 6 beautiful tcup Yorkshire terrier puppies for sale. 3 females and 3 male. The most loving dogs there is. Best companions any person can ask for. We are selling the male for R 5000 and the females for R 5000. Please call or text if interested. Ready to go.